Markets | Symbiont Science, Engineering and Construction, Inc.
At Symbiont, we have the experience to help you navigate through necessary changes and be proactive to address engineering and construction needs to enhance businesses and communities. Our team provides you with the cost-effective and efficient services you need to compliment your own expertise. Think of us as an extension of your org chart. Government agencies – at all levels from neighborhood to national – provide the services necessary for the efficient and sustainable growth of communities. Responsible use of the resources entrusted to them frequently means running lean. With a talented and flexible staff bringing a breadth of knowledge and experience, we provide the on-demand resources that allow agencies to meet peak demands and evolving needs, ensuring that Boards and Commissions, Departments, and Agencies can continue to provide the services that often go unnoticed – until they’re missed. Growing businesses need the space to increase their production capacity so they can continue to offer unique products nationally and internationally. Whether through expansion or optimization, efficient ways of creating that space are the foundation of successful plant growth. Where lean operations have reduced in-house capacity, or increased regulations have outpaced it, our experts in planning, design, and construction ensure your worlds are working as they ought to and you are equipped to launch the next great era of success. Water - your secret business asset. 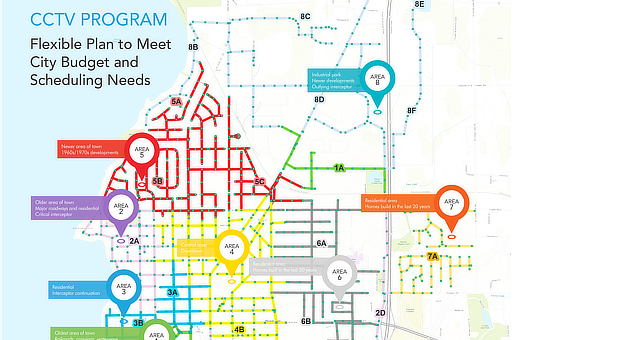 In fact, the rain that collects on your city’s roads, in your storm water systems, creeks, and waterways is ripe with potential for new transportation corridors that protect aquatic health and neighborhoods. Collection system solutions have time and time again given businesses a competitive edge and paved the way for future growth in communities, be it through reduced energy footprint or the reuse of once-used water. 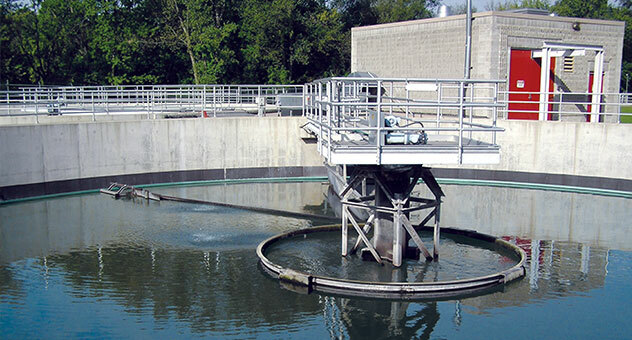 With decades of experience in the industry, we have the know-how to offer cost effective, reliable solutions that allow you to offer the community more unique services, respect waterway discharge limits, and create healthy places to live. 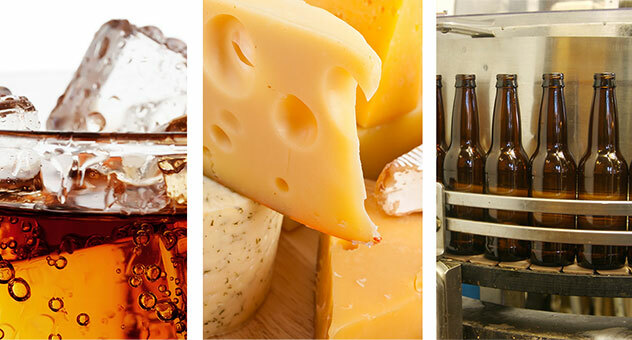 The food, beverage, and dairy industries utilize many processes to bring a variety of products to the marketplace, and every facility has its own unique engineering requirements. The common element for all food processors is the demand for exceptional quality. From sanitary process through production to distribution, there is a constant need to be efficient in all steps to meet your demand. 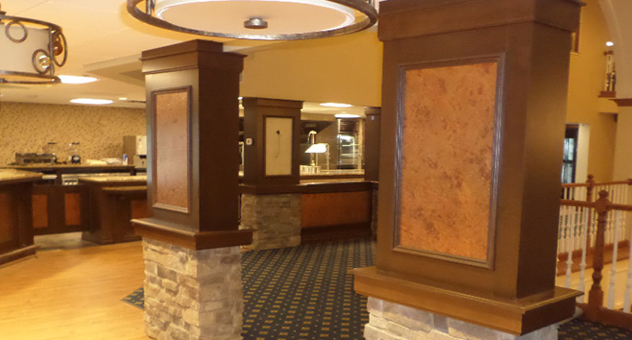 Partner with us for your engineering needs, both inside and outside of your facility. 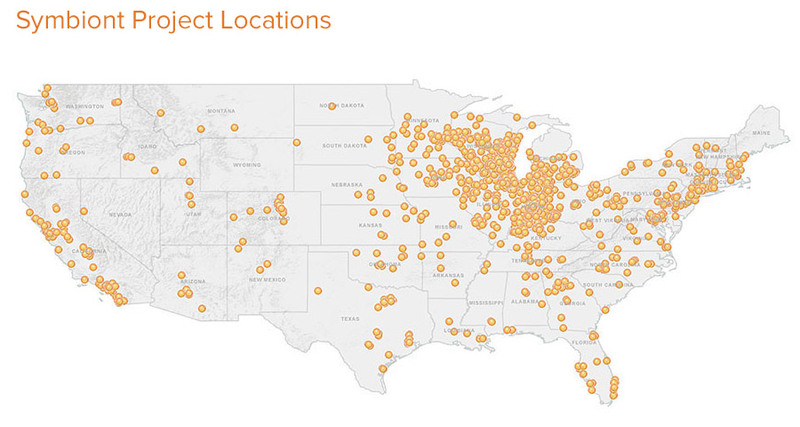 Symbiont works with manufacturing facilities on biogas, an alternative and renewable fuel. 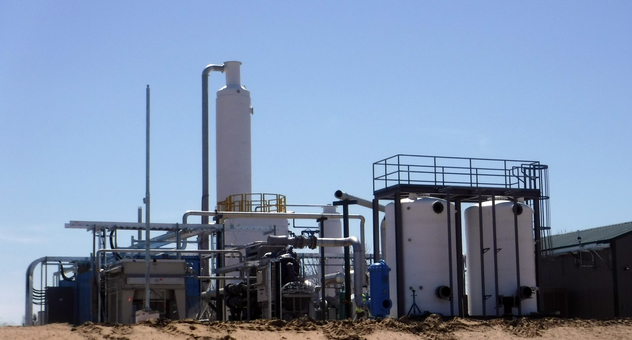 Anaerobic treatment of high strength industrial waste and municipal biosolids is a proven biological treatment process, which generates biogas. 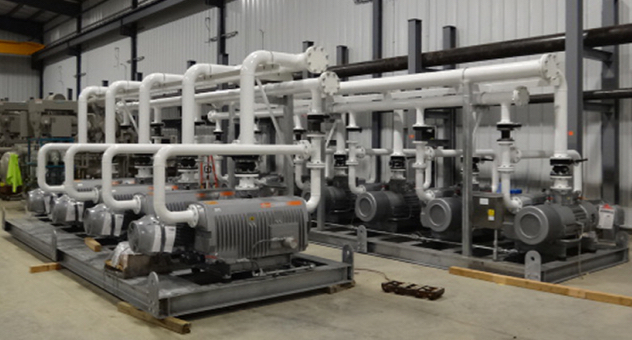 Utilizing biogas is as a fuel in boilers is one of the many common applications for this fuel. Internal combustion engines, micro turbines, and fuel cells are designed to transform biogas into power. Biogas can also be compressed for use in vehicle fuel as CNG. 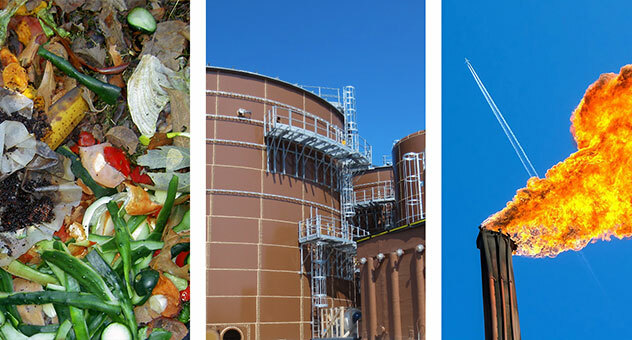 Symbiont can formulate an impressive engineering plan to use this innovative method to your plant. Shaping cities means building communities that are more complex, more interesting, more livable. Be it a new ground up structure, renovation, or expansion, we understand what great cities are made of and can be. At the heart of developments of the future lies practices which preserve natural ecologies, create mixed-use communities with wellness in mind, and employ smart design principles. With Americans spending 87% of their time indoors, it’s no wonder why we specialize in making each building a place that adds quality to our lives. 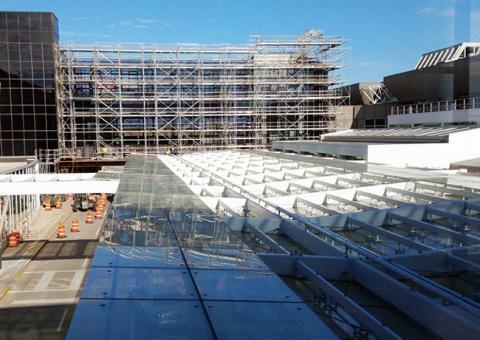 We consider the safety of materials and people in constructing custom solutions that shape the cities of the future. In the Consumer Packaged Goods (CPG) industry, companies need to be more competitive, and more socially, financially, and environmentally conscious. The need to engineer better plant operations to maximize your assets and stay ahead of the competition is crucial. 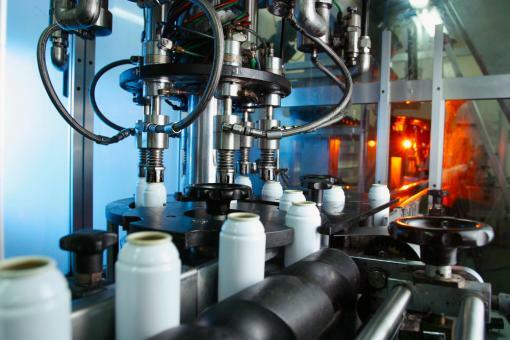 Symbiont works each day to implement the best processes in various manufacturing environments and keep our clients business objectives as our goal. For producers of organic matter, closing the loop in the energy system offers a multitude of solutions. Our engineers know that converting the energy stored in organic matter into clean, usable energy is a matter of ingenuity and vision. Farms and industries, now, can play a part in powering homes and businesses. Through smart design principles and specialized engineering, we execute large scale environmental solutions for the communities that need them most. At Symbiont, we've installed biogas systems that upgraded over 17,000 scfm of biogas which has been sold as renewable natural gas (RNG) to local utilities. We are proud of the unique part we play in changing the way energy is produced. Developing communities is about providing places where we can take care of each other and have ample choices to keep us active and well. With our decades of experience constructing and refreshing senior living retirement communities and mix-use developments, we understand that our communities are more than just structures of plaster and wood. Our goal is to create fresh places for people to gather for meals out with friends, go for a swim, and stay spiritually active. We know that it’s the fine details that make communities places which inspire independence and offer more than just a place to lay your head. Transforming retail and hospitality spaces means creating places for discovery, where people engage with their curiosity and creativity and make choices to enhance their lives. The classic in-person shopping and dining experience is as important as ever, and providing warm places where people can tap into others’ experience, advice, and products is key. 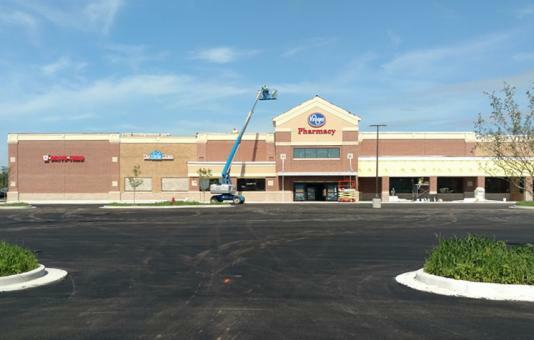 Specializing in customized ground up, expansions, and renovations, we make it possible for retailers of all sizes to add their unique touch to local communities across the nation.